Today's haiku is kind of random. Something caught my eye and I snapped a photo. Hey, I never said these posts would be good or even make sense! For some reason the combination of items sorta reminds me of a circus. simon pegg lives in my kitchen. 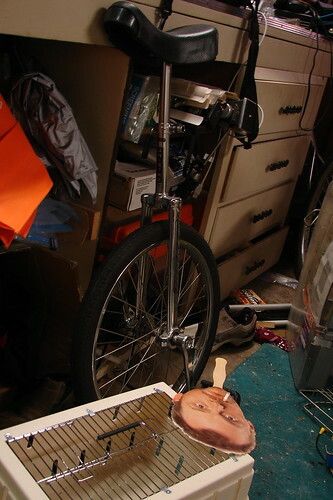 but i lost my unicycle years ago.